Hollywood tape. 6 metres in a very handy dispenser roll, just cut to size. Great for when you want to flaunt a little but not the whole lot! 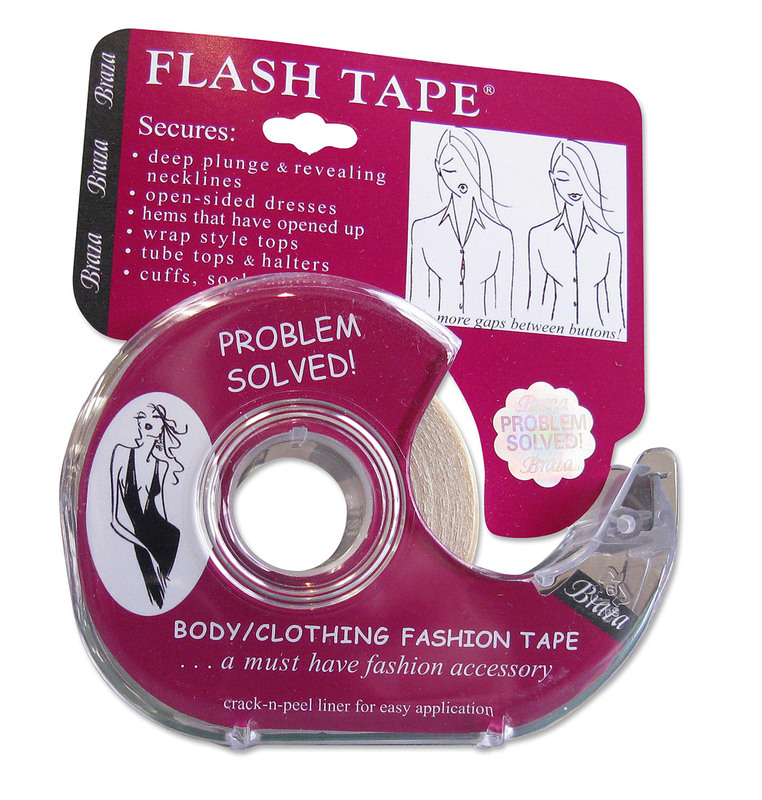 Avoid that wardrobe malfunction by sticking everything down! Double sided and clear for that discreet requirement. Keeps fabric on fabric or fabric on skin. Secures low cut dresses to your skin, stops that 'button bulge' on blouses & shirts, secures loose hems, stops your dress straps slipping & a million & one other uses.